In the mid - 1800s, shepherds searching for grazing land beyond the Canterbury Plains were the first Europeans to explore the mountain wilderness of Arthur's Pass National Park. Yet long before this time, Maori travellers and traders had crossed the Southern Alps via the then un-named Arthur's Pass. It was the lure of gold however that would be the driving force that shaped the regions destiny. Gold was first found on the West Coast in 1863. The newly arrived English settlers of Canterbury were prepared to leave their homes and trek hundreds of kilometres on the merest chance of making their fortune. However the awesome barrier of the Southern Alps lay between them and the alluring goldfields. The first European explorers, like the Maoris, preferred to cross the Southern Alps by the Harper Pass route at the head of the Hurunui and Taramakau Rivers. As an endless train of gold-seekers, packhorses, cattle and sheep reduced the bridle path to a boulder strewn mud slurry by 1863, an alternative route was imperative. In February 1864 the surveyor Arthur Dobson and his brother Edward, responding to information obtained from the Poutini Kaitahu (from Tarapuhi - the clan chief), rode horses up the Waimakariri River in search of a new route west. On reaching the Bealey Valley, they followed this to its head, then crossing a moraine wall, they made a descent to the Rolleston River confluence. On his return Arthur Dobson pronounced the route extremely difficult, if not impossible, because of the precipitous descent from the pass on the western side. He wrote "There was enough width for a zig-zag cutting to be made in the head of the gorge, but a good deal of heavy rock cutting would be required beyond." The search continued, but no better route was found. In 1865 Arthur's father, Edward Dobson senior, the Canterbury provincial engineer, decided a road would be cut through Arthur's Pass. Within months a bridle trail had been forged and work begun on a metalled road. 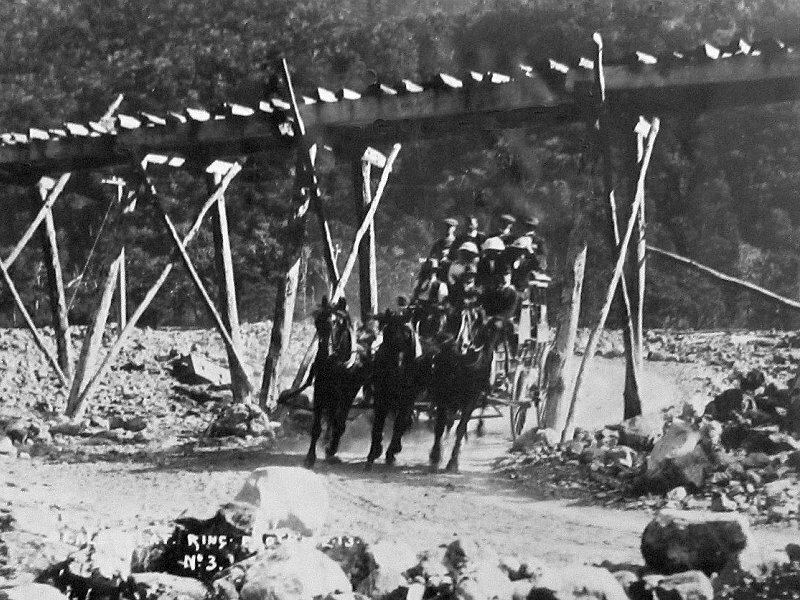 About 1000 men toiled through a bitter alpine winter and less than a year from its commencement, using only hand tools, rudimentary rock drills and explosives, the road was completed in 1866. William Cawley started his Stage Coach service as soon as the road opened. The journey from Christchurch to Hokitika took 36 hours in exceptionally good weather, and could be delayed more than a week in anything else (snow, flood, road collapse - still common occurrences today). From 1907 onwards the rail link from east to west was slowly forged from each side, culminating in the opening of the through line in 1923. Its' construction included the Otira rail tunnel, an epic engineering feat through 8.5 kilometres of rotten rock (not unlike the surface). 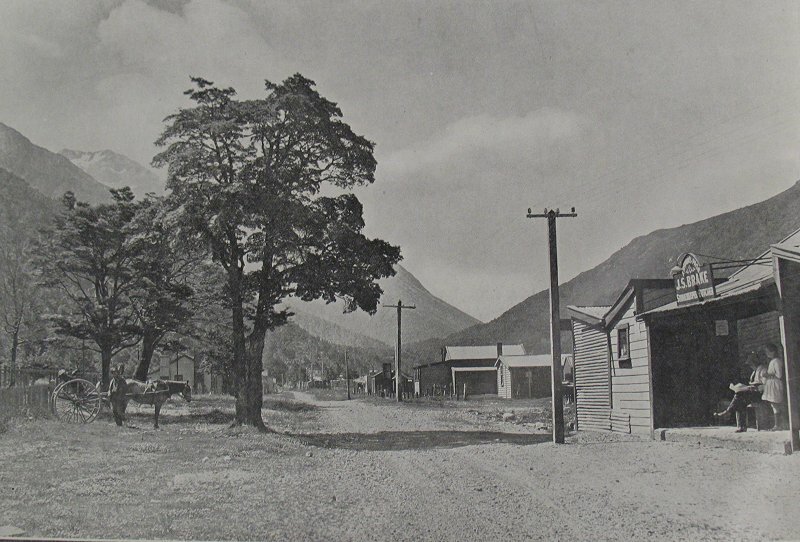 The first attempt to establish a town near Arthur's Pass was made between the confluence of the Bealey and Waimakariri Rivers. It was named Klondyke Corner for the site was very cold, receiving no sunshine in winter, hence its name is reminiscent of the Alaskan gold rush settlement. The year 1865 saw about 100 people encamped; 208 sections were surveyed and an ambitious street plan mapped out. Eighteen months later everyone but the telegraph operator and a police sergeant had moved to the much sunnier present day site of Bealey. Tourism began early in the area; one of the pioneers was a man named O'Malley, proprietor of the then illustrious Bealey Glacier Hotel from 1882 to 1901. He personally guided his guests to the head of the Waimakariri Valley to gaze at the numerous glaciers. Arthur's Pass National Park was established in 1929. 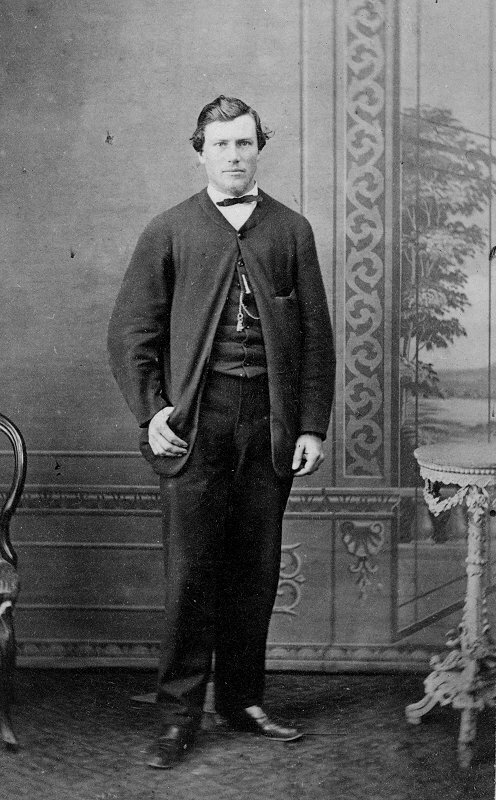 Permission of the Alexander Turnbull Library, National Library of New Zealand, Te Puna Matauranga o Aotearoa, must be obtained before any re-use of any image on this page.